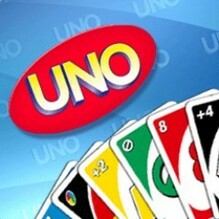 UNO on PlayStation Portable was delisted by January 3rd, 2013. The game was used in a buffer overflow exploit when run on the Vita to enable PSP homebrew software. The exploit was revealed on December 30th, 2012 but Sony didn’t begin pulling the game until the 2nd and 3rd in Europe and North America respectively. Even with the game being removed early in the month, UNO managed to be the number one downloaded PSP game for January according to the North American PlayStation Blog. The #1 card game for friends and family fun recreated with the game’s classic identity and rules that are easy enough for anyone to understand! A thrilling multiplayer mode on PlayStation®Network allows up to 4 people to experience all the enjoyment of playing UNO™ with friends. Allows for customizing the game rules and discovering new ways to play UNO™ like “UNO 7-0”, “UNO Challenge”, “Jump In” and many others. Progress through increasingly difficult challenges in Tournament Mode to collect prizes and unlock up to 8 colorful deck themes to give the game a fresher look.